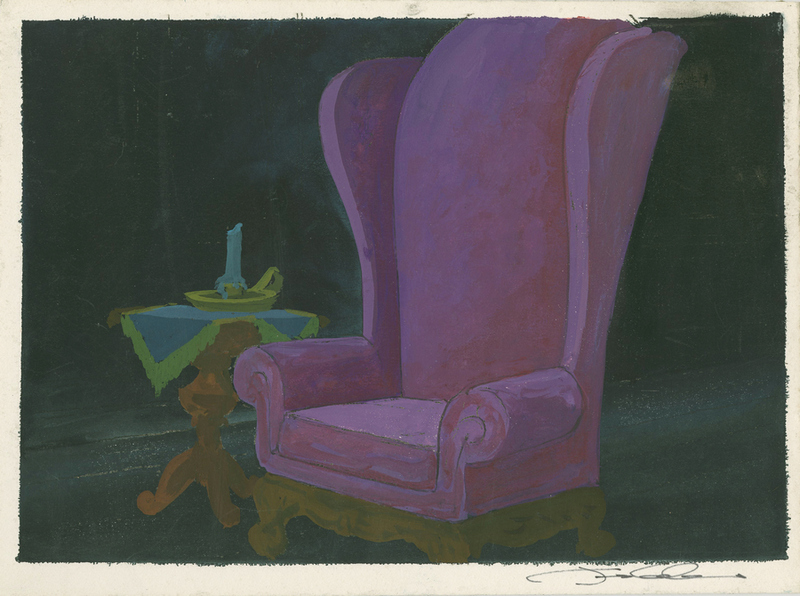 This is an original background color key concept used in the creation of the Walt Disney Studios production Mickey's Christmas Carol (1983). 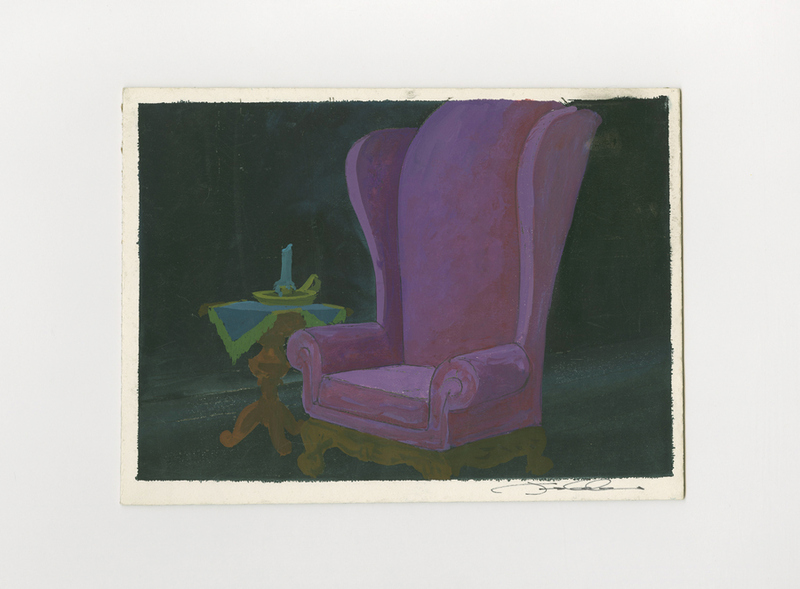 This hand-painted concept features Ebenezer Scrooge's chair and was signed by the artist, James Coleman. It was created at the studio and used during the early production of the film. When a color concept is finalized during production, it becomes the reference tool that animators use to paint cels and backgrounds, as well as to further progress through the storyboarding and layout of the individual scenes. The overall measurements of the piece are 7.5" x 10", with the image itself measuring 6.5" x 9.5". This color key is in excellent condition.